Altair’s Learning & Certification program is a learning hub where students and teachers can revise relevant topics before taking an online exam. 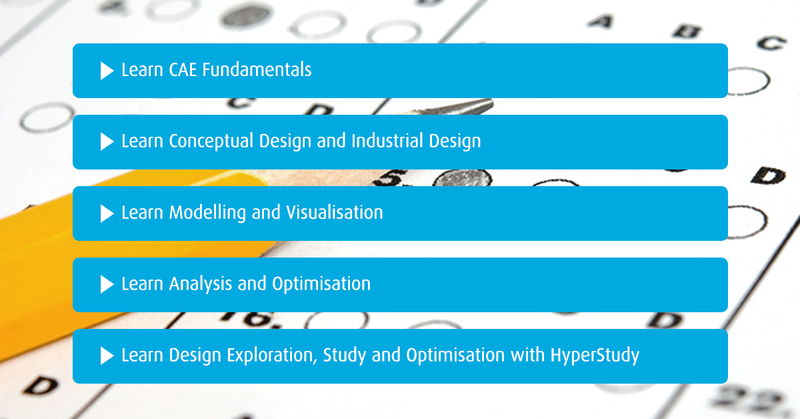 You will find topics such as: CAE Fundamentals, Conceptual Design, Modelling, Visualisation and more! The program is designed for students and teachers to boost productivity whilst gaining significant knowledge on #CAE topics and #HyperWorks software.